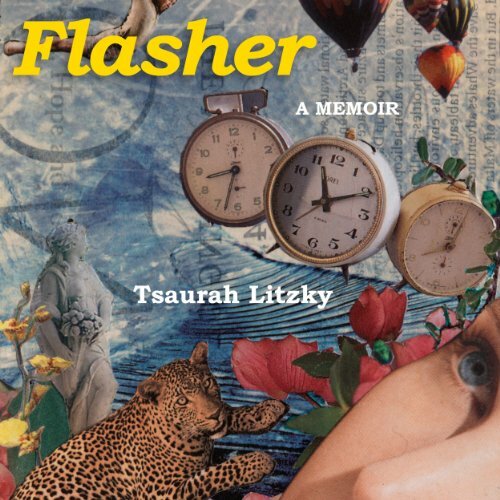 Flasher is the story of a one-time hippie love pirate, slum goddess, a Ruby Tuesday of the '60's who mutated into a blossoming writer on the Lower East Side art scenes in 1990's. When our feminist Bukowski meets a sculptor who designs fetishwear at a New Years Day party, her life changes and becomes a consideration of the values and costs of love and friendship, sexual freedom (is there such a thing? ), and the importance of family - real and inherited. Influenced by D. H. Lawrence, Colette, Diane di Prima, Camus, and Simone de Beauvoir - Litzky's heroine is unforgettable, transgressive, tender and you-won't-stop-laughing funny! ©2013 Tsaurah Litzky (P)2013 Audible Inc.